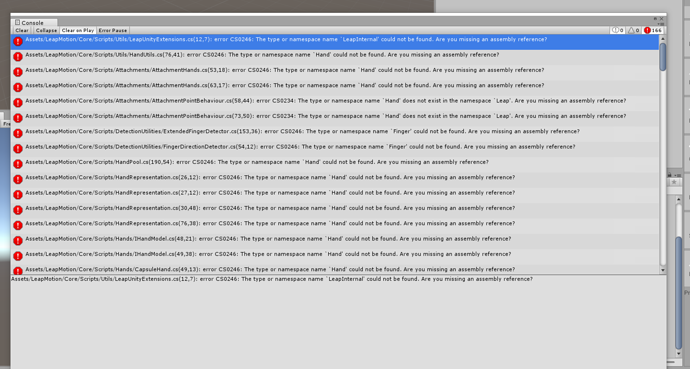 I'm having issues using the latest Unity asset package. I have imported the package into the unity project and I am receiving lots of compiler errors stating that I'm missing assembly references. I am using the latest SDK files and Unity 5.5.4. What version of the Leap Motion software are you using? updated to 2017.3. stopped getting these errors.